A heritage courthouse turned restaurant. 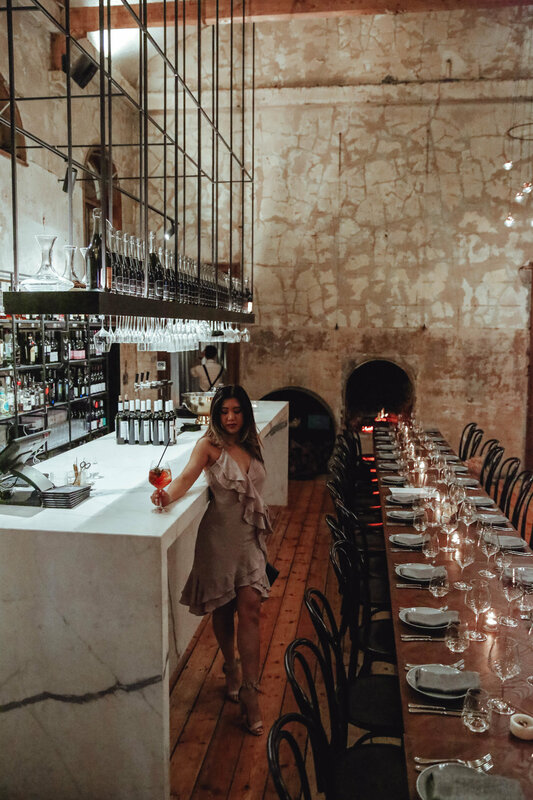 There's really nothing more striking than dining in the atmosphere of history that lives on in the walls, the floors and the best part - the fireplace. As we settle into these frosty winter months, Ciao Cielo and it's $1.5 million restoration sets the bar high as a refuge for hiding away into a cosy and charming ambience, to indulge in winter favorites. From a glass of red and a loaded cheeseboard to a fine cut of 1kg bistecca alla florentina T-bone steak.. you need to pull up a seat by the roaring fireplace and hear the crackle of logs burning for yourself. Oh and don't forget the tiramisu! Oh and if you're feeling adventurous, order the Sardinian style Goat-leg with polenta dumplings - you won't regret it!